Baseball is a game that plays many games every season. We have only had 8 home games, and we have won both homestands and have a 5-3 record in the friendly confines of Memorial Stadium! Hope this is an indication of how the team will do this summer and July could be a big month for the Hawks with 18 home games this month. But as the success on the field seems great, what is keeping YOU out of the stands? For the first time since I can remember we had a below-3,000 fan crowd on a Friday Night Fireworks game! Our radio broadcaster Mike Safford became so upset by the lack of support that he tweeted his feelings about the lackluster crowd and he asked for feedback. Some interesting results came up and I think the main theme is something that I need to tackle with you right now. Tom Ricketts and the Cubs DO NOT own the Hawks We have a “marriage of convenience” with the Chicago Cubs. Every two or four years, depending upon our agreement, the Hawks and Cubs can choose to “remarry” or “divorce”. But it is simply an agreement called a Player Development Contract. The Cubs have responsibilities under that agreement (player scouting, training and payroll) and the Hawks have our responsibilities (facility). Other than that the Cubs have NOTHING to do with the Hawks. Our team is owned by a group led by CEO Neil Leibman, not Tom Ricketts. Neil and his group make the decision on moving or not. If the Cubs leave, the Hawks are GUARANTEED another major league affiliation A popular radio sports show called Idaho Sports Talk indicated that the Hawks could be an “independent” team again if the Cubs choose to affiliate with another city. WRONG!!! Minor League Baseball has an agreement with Major League Baseball that ALL minor league teams receive an affiliation! Although the Hawks were independent in 1987-1989, that is no longer allowed in the minors. The MLB/MiLB relationship has changed dramatically since the inception of the Hawks. It assures that YOU as a fan of a minor league franchise will see the future Major League stars on YOUR field. We are NOT moving Opening Day the media was more focused on the stadium and not the team itself. With that came some rumor and innuendo that the Hawks could move anyway. With the stadium issues that we have and have been over-talked about, is moving an option? Sure. But we are talking about moving to downtown Boise or Meridian. Something you also don’t know is that we have discussed renovations with the county! Our commitment is to the Treasure Valley! But let me clear up the Hillsboro rumor. Hillsboro, Oregon was awarded a Northwest League franchise and they are building a new stadium. Yakima has been trying to move from that city for awhile now and have been thwarted until they struck a deal in Hillsboro. The Hawks were NEVER in discussions with Hillsboro, although, we did show some interest in at least looking at what the league presented to its members. All of its member clubs, all eight of us. Subsequently, we supported Yakima moving there! Then there is this rumor about Milwaukie, Oregon, who wants to build a minor league stadium. It has been written about in the Oregon papers numerous times if you want to look it up on-line. However, Milwaukie resides in the territory of Salem-Keizer AND Hillsboro! People ask me about the chances of us looking into old NWL cities like Bend or Medford. My question back is, “would you want to leave the 3rd biggest city in the Northwest?” Enough said. WE NEED YOU! Without fans in the stands, we can’t get what YOU and WE want done. This is a local small business. Our company will make about $1.5 million in revenue in a good year. Expenses from Memorial Stadium and the rise in all costs make it so hard for a small business to make a go of it. I’m sure that many of you can relate because expenses are darn close to that revenue mark BEFORE you can put any money back into the facility. Our business is built on ticket buyers. But we are community members that give back a ton in time, effort and yes, even money. To profess that we have “billionaire” owners that are looking for a “hand out” is simply not true. The only people who are rich in sports are the players at the major league level AND are superstars. WE ARE ABOUT THE COMMUNITY, NOT JUST OURSELVES Our plan for a stadium is more than baseball. We are not asking for public consideration for a building that is going to be used 38 days per year. We are planning on over 200 days of use in a new facility! I think that kind of activity warrants consideration as it welcomes the soccer community, the ice hockey and skating community, the entertainment seekers (concerts, fairs, expos) and the high school sports community, not just the baseball community. I would find it hard to believe that you don’t belong to one of those. Ask the Freshman Baseball community about the Hawks. I hate any self-promoting but in this case I have to support our position on being a big community contributor. With the help of eight area high schools, we saved Freshman Baseball in the Treasure Valley. At least at the 5A level. In May 2011, the Meridian levy was defeated and it eliminated freshman sports due to the budget issues. Eagle High School coach Frank Wright spoke publicly about the possibility of losing kids from sports at that age level that would mean a reduction in student-athletes at the high grade levels because kids wouldn’t get the opportunity to play. Thus, kids would chose not to play sports and could choose other paths that are less desirable. Frank and I hooked up and in the spring of 2012 we had 27 games played at Memorial Stadium along with many others at high school sites. We helped the schools raise funds for the program and the John F. Nagel Foundation donated money to assist the program. The team we assembled helped change the lives of some kids in this community. WE NEED YOUR PATIENCE We have a ton of ideas and plans and potential projects that are being worked simultaneously. But to get one of those to click into place and get them off the ground, it can’t be done overnight. This whole process has tested MY patience many times. I’ve been working behind the scenes on our facility since 2004 and we creep along. But things are starting to gain momentum but it isn’t something that can be forced. We tried to force things. It has failed and in some ways is probably to blame for this letter I need to write to you now. We are working on this daily. We are trying to get far enough so the Cubs will stay. We are trying to build something great for this community WITH this community. Please grant us patience and support. THE CUBS JUST MIGHT STAY ANYWAY! At the end of the day, the Cubs might just stay! We have a host family program that is second-to-none. We have direct flights to Phoenix which is important to the Cubs as they have numerous players shuttled from here to their minor league complex in Mesa, Arizona. Boise is a great city and that does not go unnoticed what we provide to their players. And they know we are busting our rear ends to upgrade their accommodations for their players. But we are really busting our butts for YOU way more as we want you to have what you deserve for baseball and many, many other events. Are you one of the many that are not fully informed and are making decisions based on this misinformation? If so, please take what is being said here and understand that the Hawks are alive and well and will be a major league affiliate for someone in 2013 and beyond. Get back out to the ballpark if you have stayed away because you are not supporting a local business that is looking to relocate out of town. You are supporting your local heroes and future major leaguers. You are supporting the low-cost entertainment that everyone says they want these days. You are supporting the quality of life that we all tout as the best in the country. You are supporting the Hawks, a company and a team that has the word “BOISE” imprinted on the front of our jerseys! 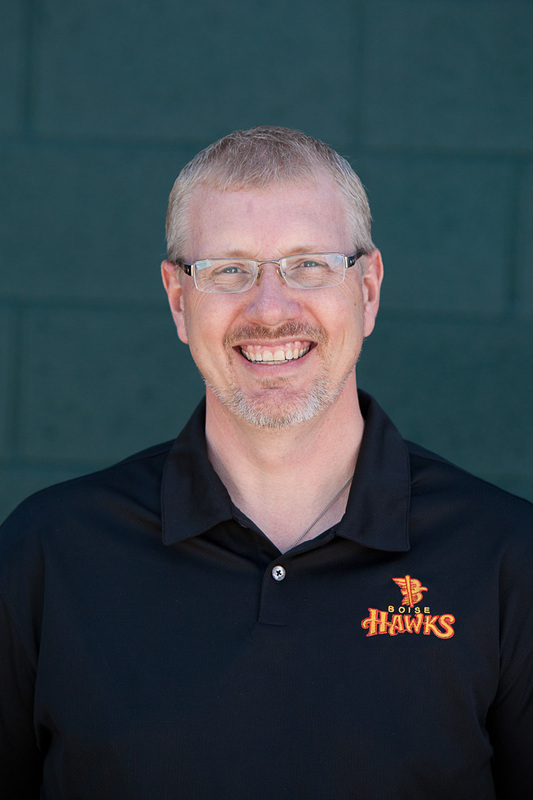 You are more than welcome to call me at 208-724-0459, my personal phone number, or e-mail me at todd@boisehawks.com if you want to rant back at me or simply want more clarification on things. Comments in support of all of this would be welcomed as well! Thanks for giving me and our staff the opportunity to serve you and the community of the Treasure Valley!!! Thanks for sharing…great information. Happy to hear the Hawks are here to stay!